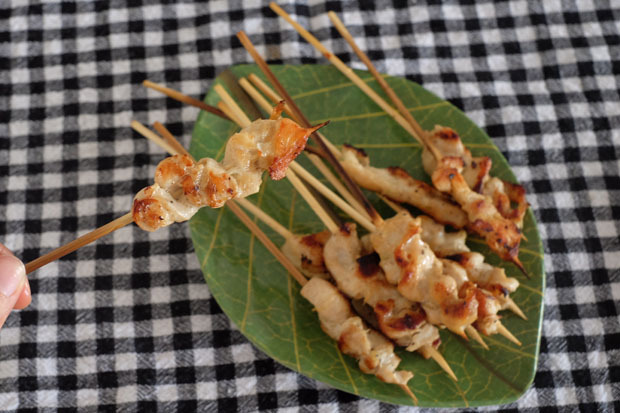 Thai Satay/ Chicken Skewers. A recipe from Le Cordon Bleu. 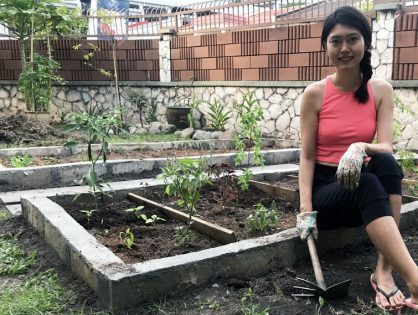 Satay is not something that I make at home for myself, or even for one or two family members (despite my great love for them). I value quick and fuss-free cooking. 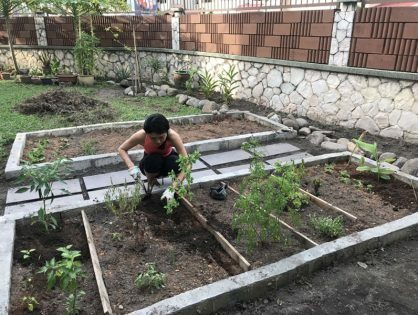 Only then, I believe, we are more likely to cook and eat at home more. 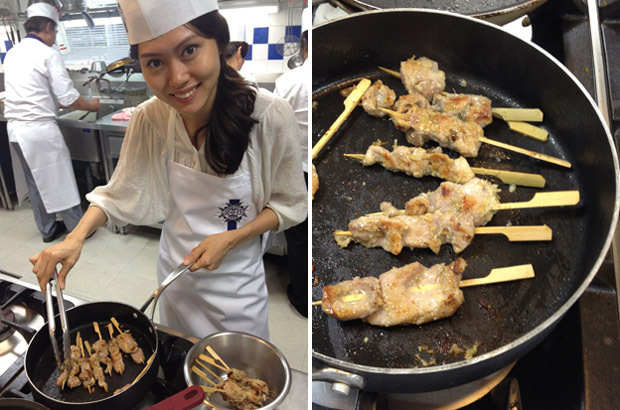 Poking meat into skewers seems to me like a waste of time. Isn’t it better to marinate a whole chicken chop and pan-fry it? But at Le Cordon Bleu, I’ve have gotten a delicious recipe that I make over and over again. It’s my favourite dish to serve at a party. It’s so easy to eat and so delicious. 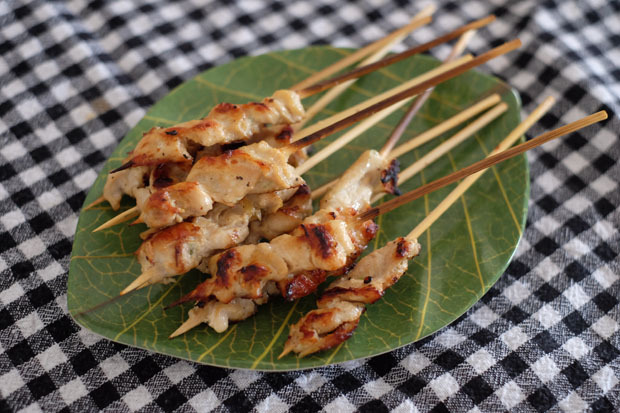 Granted, poking meat into skewers and grilling it one by one takes a lot of time. Though it’s time consuming, it’s not difficult to make. 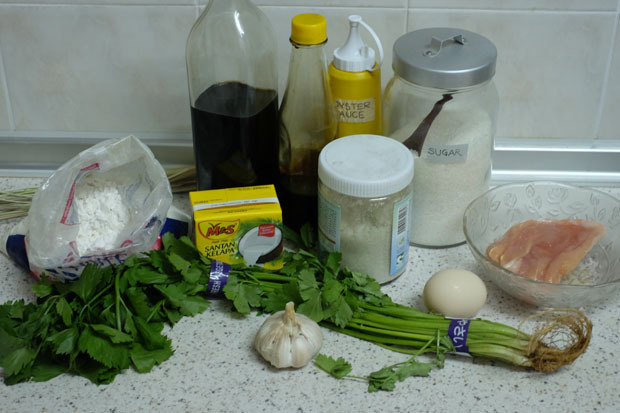 It’s a matter of pouring sauces and spices on sliced chicken to marinate. How hard can that be? 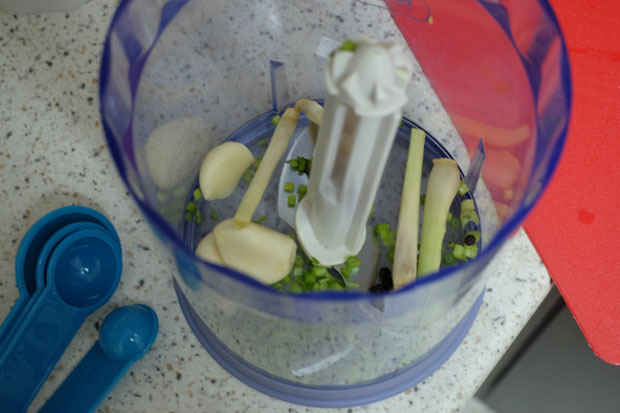 Blend coriander roots, lemongrass, garlic and peppercorn into a paste. Pour the paste, pepper powder, salt, sugar, oyster, soy sauce, corn flour, coconut milk, water, egg white and cooking oil into a container. Add sliced chicken. Mix well and marinate for at least 30 minutes or preferably overnight. 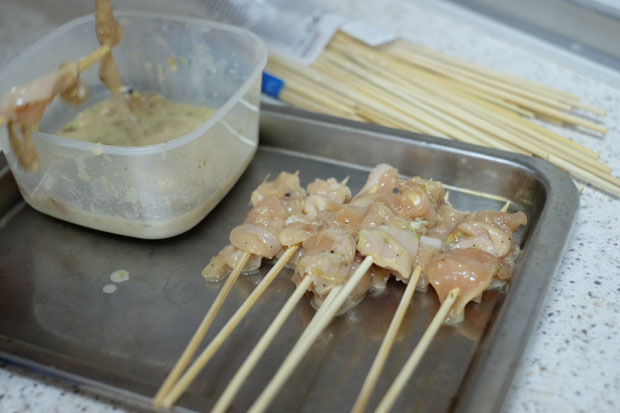 Poke marinated chicken through bamboo skewers. 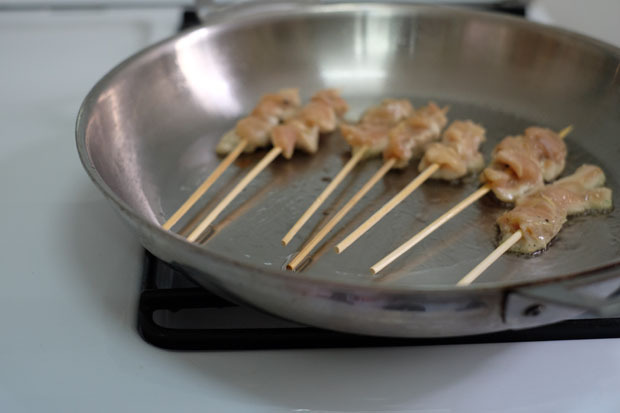 On a wide pan, pour some oil and pan-fry each chicken skewer on high fire until cooked. This recipe originally use pork. In Thai, it’s called moo-ping (grilled pork). However, as I throw house party with family and friends of different religions, we normally serve only chicken and fish. As this recipes makes only a dozen of chicken skewers, I suggest multiplying the ingredients for a bigger batch. At a party, I will buy 1.5 kg of chicken which means I increase the sauce ten-fold. I have a rather wide pan which I believe is not common in Asian household. If you don’t have a wide pan, I suggest buying shorter skewers. Do try it. I’m sure you’ll love it as much as I do!